Apple has announced two new ad formats capable of taking over the entire screen of your iPhone or iPad. The new formats will be a part of Apple's iAd platform for iOS, which allows developers to build in ads right into their apps. Because if you're going make bigger phones, you might as well have bigger ads, right? App makers will now be able to use full-screen interstitial banner ads and pre-roll videos, which can run 15, 30 or 60 seconds in length. Both of these will, hopefully, generate higher revenue for developers than the smaller, less intrusive ads we have today. 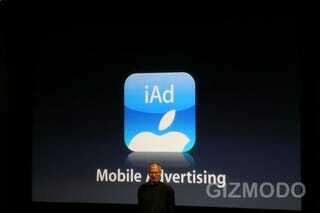 Apple has required some user interaction for ads to take over the entire screen of your devices till now. You needed to tap a banner for ads to pop up, for instance, or hit a predefined break within the app or the game you were playing. Now, bam! They'll just own your screen and you won't even have to lift a finger.